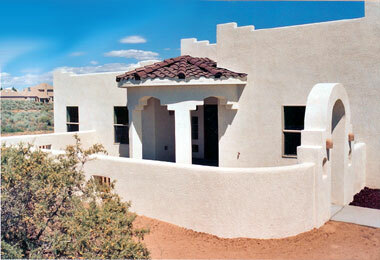 Terry Iliff has been building custom homes in New Mexico since 1984. "I started in Las Cruces, New Mexico. I pooled all my resources into getting my contractor's license and some promising land on which to build. 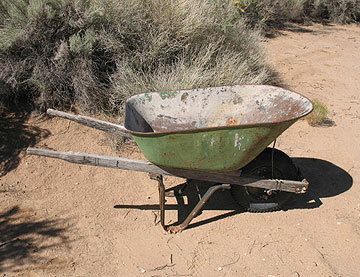 I had enough money left over to buy a wheelbarrow." She successfully built and sold several homes in the area. She took on a partner, and together they started a successful contracting company. The partnership became a marriage and two daughters, so Terry moved to the Albuquerque area, where she continued to build quality homes. Terry graduated from the University of Arizona in 1978 and has a Master’s Degree from the University of Wisconsin-Madison. Contact Terry at (505) 891-3181 for more information. Her email is: terry@iliffconstruction.com. Iliff Construction is located at 6004 Rio Salado Loop NE, Rio Rancho, NM 87144. New Mexico license GB-98 #82925. Terry Iliff's office number is (505) 891-3181 and her cell phone is (505) 269-7456. My husband and I contracted with Terry Iliff to build our dream home. We had never built a home before and needed a lot of guidance in making critical decisions. Terry was very patient in working with us, and she would explain the pros and cons and costs associated with each option. The contractors she used were of high quality and paid attention to detail. The home was also built in the six-month time frame we agreed upon. Every time we entertain new people, we always receive compliments on our home like it was just built yesterday. We moved here from the East Coast to live and build our house. We had an idea of what kind of house we wanted but no clue regarding building codes or what goes into building a southwestern house. Terry was very patient with us helping us every step of the way, making decisions and adding or changing or moving things as we changed our minds, sometimes on a daily basis. She was very patient with us and believe me, my husband was very demanding. In the end, it was truly was the house of our dreams. I would happily recommend her to any who wants to build a house custom made for them. Thanks for building us such a great house - we love it! It still does not feel like we own it though. Marie says she feels like she is visiting a "Bed & Breakfast." I'm convinced that you build the best value home in Albuquerque, and you do it with style. It's been a real pleasure doing business with you. Your experience and professionalism helped to make building a very positive experience. Terry has built not one, but two custom houses for us in the last decade. Need we say more? 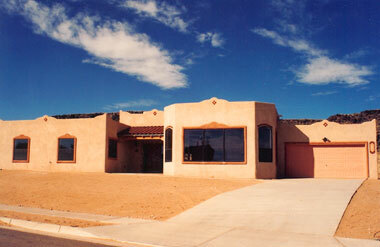 Iliff Construction has built over twenty custom homes in the greater Albuquerque area. Using local subcontractors and labor, the company is proud to be a part of Rio Rancho's growing business community. A well-built custom home is a sound investment and will provide its owner many years of living enjoyment in our beautiful Rio Grande valley. Please call Terry for more information and a tour of our existing homes and properties.